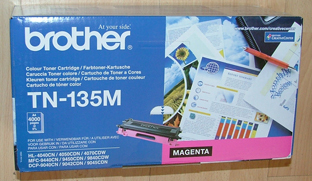 Home / Brother / MFC Series / Brother MFC9840 / BU-100CL – Genuine Brother Transfer Belt – delivered FAST & FREE! Page yield quoted as approx 50,000 x A4. Genuine article delivered quickly. 3. 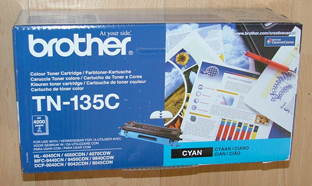 TN135Ccomp – Guaranteed Compatible HIGH YIELD CYAN Toner Cartridge – delivered FAST & FREE! 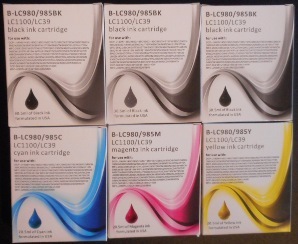 WT100CL – Genuine Brother Waste toner box, delivered FAST & FREE	 1.LC985BB – BARGAIN BUNDLE of SIX Premium Quality Brother LC985 guaranteed compatible ink cartridges – delivered FAST & FREE!